Hey Brett. Cool site. I’m an author with a new book (mg sci fi) coming out in March – just got contacted by Jesse at Bloggerdise. I saw a thread in Goodreads and it seems you use their service and seemed happy with it… is that right? Hey Richard. Had nothing but positive experiences with Bloggerdise. Worst case, you get your book out there a little more. More exposure never hurts anything. I’ve had several of their bloggers contact me for different things. I say give it a shot! thanks, Brett. My thoughts exactly. Brett, I loved “That Which Should Not Be”. Do you plan on writing any more books with a Lovecraftian theme? Thanks Mike! I appreciated your review you posted on Goodreads and Amazon. Kind words are like gold. I do plan on writing more Lovecraftian themed fiction. My novel that I just finished is very different and not directly related to Lovecraft, though I think there are some themes that run deep within it that you would recognize. My third book, however, is going to be a sequel to the first book. Don’t know exactly how I will do it, but figuring that out is part of the fun, right? Also, the Lovecraft eZine recently featured one of my short stories in their magazine. Check it out at lovecraftzine.com. Thanks again Mike. Congrats on being named a juror on the Stoker Awards! My writing collaborator (Christopher Leppek) and I agree with you that ‘words are golden’. 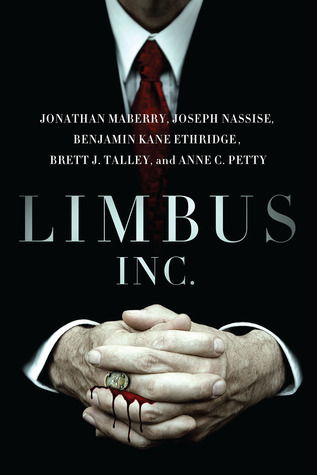 We have a new horror/suspense novel coming out in May and would love to get you the galley. If you like it, perhaps you would offer us a blurb to put on the jacket cover. We’ve had a number of horror short stories come out this year. Our first novel “Chaosicon” was published in 2001. Please let us know. Hi Priscilla. Shoot me an email at brettjtalley@gmail.com. I’m a sometime adjunct professor of composition at University of Alaska Anchorage, and a technical writer/editor at one of the dryer federal bureaus, and I chose to write a near future sf thriller in strong first person voice. Zook Country was recently picked up by Twilight Times Books – about three weeks after I self published the e-book. Lida Quillen read it, liked it, and sent me a contract. Three weeks later, she had “crashed” the title, and had it published under the TTB imprint. From signed contract to publication, 11 days, which she says is a record for her. My ebook of Zook Country is already online at TTB, Barnes and Noble, and Amazon, and I’m requesting a review. I’ve attached links to the first chapters, and await your response to e-mail you the PDF-ARC. The trade-paperback will not be released for several months, though the book has been on sale through TTB since 10 March. Jake Chestnut and partner Gary Landon are partners in Seraglio, a small company hired by local governments and businesses to exterminate zooks. These hardened men and women have been on the front line of a virtual war for five years, killing monsters who were once people. There is no end in sight. The bite delivered plague struck five years ago and has killed about a third of humanity. Zooks are victims of Metamorphic Plague, a fatal disease that causes victims to behave like rabid apes who move so quickly that a normal person can’t track them by eye. Entire cities have been devastated, and nobody knows which way the fight to survive will go. Jake must discover why the consortium that just hired Seraglio to clear the zooks from Margolin Hills Resort Community (MHRC), the first in a series of plague-safe enclaves for the very wealthy is suddenly trying to kill him. What he discovers may lead to civil war. Born in Great Falls, MT to an Air Force family, he averaged less than a year living anyplace until his late teens. He’s lived in England, Iran, Germany, and nine states. He flew military helicopters for twenty-two years, seven for the Army, and fifteen for the Coast Guard. Before the military, before the flying, and before he could really grow a beard, he met Teri. They married in 1982 and their kids were born in 1999 and 2004. They’ll soon celebrate their 30th wedding anniversary with their two kids, two Eurasier dogs, and two cats in a beat-up old log home on a ridgeline in Peter’s Creek, Alaska. Bill completed his Masters of Arts in English on Groundhog Day, 2010, and now works as a technical writer/editor and sometime professor of composition. Also at Amazon, Barnes and Noble, and other fine ebook emporia. I’m a asometime adjunct professor of composition at University of Alaska Anchorage, and a technical writer/editor at one of the dryer federal bureaus, and I chose to write a near future sf thriller in strong first person voice. I wanted to let a fellow cultist know about an illustrated book called _The Shadow out of Providence_, a metafictional response to the writings of H. P. Lovecraft. 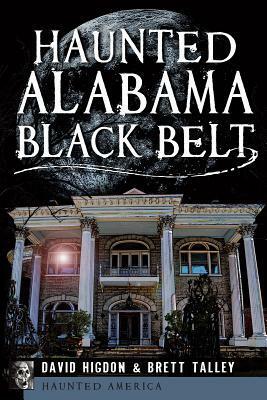 Two stories and a play re-work HPL’s themes and plots while critiquing his racism and his nostalgia for aristocracy. Artists Timothy Hutchings, Erol Otus, and Dan Zettwoch each illustrate one section of the book. I am asking you to post a link to the Kickstarter page where we are raising money to fund the design and print run: http://www.kickstarter.com/projects/98284667/the-shadow-out-of-providence-a-lovecraftical-metat . The project also has a home page: http://www.shadowoutofprovidence.com/ . Kickstarter only charges backers if the total pledges meet or exceed the funding goal. If we meet our goal, backers will get rewards ranging from copies of the book (digital or hardcover), to numbered prints or original works by the artists, to copies of the book handmade and bound by the graphic designer. Help us make this obsessive little project a reality. And another thing: If we get at least $100 in pledges that originate from The Site That Should Not Be, we will give you a free hardcover copy of the book, provided we reach our goal. Hi Brett! I just received my copy of That Which Should Not Be in the mail from you yesterday! Thanks so much! I would love to have you on my blog sometime for a guest post. Please let me know if you aren interested! Thanks! Hey Heidi. I would love to visit your blog. Email me at brettjtalley@gmail.com and we will work it out! Hi, Brett! I just finished that Which Should Not Be, gave it a 5 star review on GoodReads and Amazon.com, and ordered The Void. You’re a superb writer and it’s uplifting to find old-fashioned supernatural horror these days! Thanks so much Mark All! I am glad that you liked the book and you will have to let me know how you feel about The Void. Enjoy. Loved That Which Should Not Be. 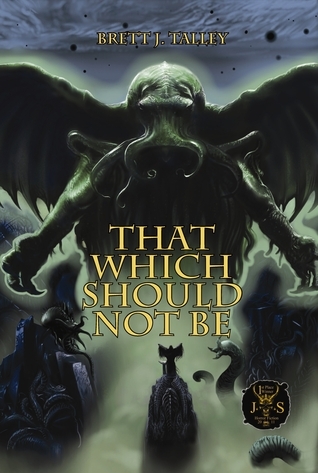 I especially liked how you combined Christian mythology with Cthulu mythos, haven’t seen that done before. Hope there is a sequel. Thanks so much Daniel. You wouldn’t believe the criticism I’ve gotten from some circles for even daring to mention religion in relation to the mythos. It’s very strange. I hope you’ll add your review to Amazon and Goodreads. Can’t ever get enough good reviews. And yes, a sequel is in the works! Just finished The Void on the train ride home. Was one of those random book pick ups so a great surprise. Mood captured precisely and fantastically in the writing. Keep ’em coming. I’m on board. I am starting my own print fanzine, to be called Echoes From R’lyeh, and will be dedicated to extreme music, literature, and artwork inspired by the classic weird literature of Lovecraft, Poe, Howard, and others. I would love to do an interview with you for my first issue. Would you be interested in supporting me with an interview? I’d be honored. Shoot me an email at brettjtalley@gmail.com. Good to see meet you too, buddy. I can’t wait to check out some of these sites. Keep in touch. I see that you have an account on Smashwords https://www.smashwords.com/profile/view/brettjtalley – it would be great if you sold all your books there, especially “That Which Should Not Be”, as I’m looking to buy it, but other stores don’t want to sell to my country and/or have DRM :-/. Wow, I didn’t know there was anywhere in the world that the power of Amazon didn’t reach. Send me an email, brettjtalley@gmail.com. Can’t sell those books on Smashwords since they are on Amazon and such. Do you have a Kindle? Amazon doesn’t sell epub’s (I use a non-amazon ebook reader that uses epub, as do all ebook readers in the whole world except amazon ones) relying instead on their own nonstandard formats and adds their evil DRM to ebooks. On top of that it’s a pity that they bully you, being the author, so you cannot sell your own books anywhere else. You mentioned you had gone to Centralia, PA and had some pics on your website. I’m headed that way in a few weeks and would like to ask a few questions if you get the time. Also, do you do any urban exploring? I recently visited a ruined sanitarium and an old TB hospital here in MD and it was unbelievably creepy. Anyways, get back to me if you can! I’d love to do more urban exploring, but I’m a complete law-abider. It’s disgusting. I’m always afraid I’m going to get arrested. I live in DC so Maryland is just next door. Where’s the old sanitarium? Talked to Graeme recently and he indicated this summer. So get ready! I liked your book a great deal and just posted a review of it on my blog. Very creepy and atmospheric. Unofficially, I can say he does care. I also can say he took no action at any point in the affair. But he cares as any writer would under similar circumstances. Hi, Brett. In addition to being an author and Amazon “Vine Voice” reviewer, I run a blog for book enthusiasts called Gazalapalooza that has earned resonance with tasteful, intelligent and very attractive readers. Gazalapalooza enjoys good traction, and an item called Author Spotlight is a popular recurring feature in it. David Baldacci, Steve Berry, Catherine Coulter, John Gilstrap, James Grippando, Justin Gustainis, Raymond Khoury, Brad Meltzer, David Morrell, Matthew Reilly, Christopher Rice, Matt Richtel, James Rollins, Ian Tregillis, Simon Tolkien, Stephen White and Stuart Woods are some of the NYT bestselling authors spotlighted in connection with their recent releases. You can see these authors’ Spotlight interviews, and others, at http://www.rgazala.blogspot.com. If you think it might benefit your promotional efforts, or you might derive some pleasure from reaching out to Gazalapalooza’s readers, I’m pleased to invite you to be a Spotlight author. The interview format is neither taxing nor too time-consuming — I pose five written questions, you supply written responses, and then I post your interview along with the cover image of your latest book (“The Reborn”) and a link to Amazon (or wherever else you’d prefer instead) where readers can purchase it. I’ll promote your Spotlight posting all over Facebook, Twitter, Google+, Goodreads, Amazon, etc. The interview questions are lighthearted, designed for you to have as much fun with them as you’d like, and I ask the same questions to each author (unless it’s not the author’s first Spotlight appearance, which doesn’t apply in this instance). At your earliest convenience, please email me and let me know if you’re interested. I look forward to hearing from you. Meanwhile, I wish you great fortune and fun. I hope this finds you very well and happy. I’m trying to get some reviews for my first book “Walk in the flesh” * (kindly published by Barbarian Books)? An edge-of-your-seat techno thriller that tells the simple story of Neil, An assassin for the British Government. His job is getting access to the difficult to reach targets – and then slaughtering them (sometimes he adds a little unsanctioned murder & mutilation for reasons that even he is unaware of, but this is really just a side-line). But Neil is worse than homicidal, he is untidy. When he left his severed head in Iran, he left a pathologist a puzzle to unpick that leads to her sharing a road trip with a man she thinks is quite charming, while he is thinking about keeping her ears after he breaks her neck. I can provide a review copy in whatever eFormat you prefer. Are you here in Atlanta? We looked for you at the mass signing? I’m here. I was sorta in the back at the mass signing. Great! I’ll look for you. Brett — Read your opinion piece on CNN.com. You’re a vile, disgusting, bigoted misogynist. I wasn’t surprised to learn you’re from Alabama, a stronghold of bigoted racists who believe in keeping women, minorities, African Americans, and anyone who isn’t an overweight wealthy white male in his or her “place.” You’re a waste of the air you breathe. If there was a God, he would strike you from this Earth. You would not be missed and the world would be a little bit better. But there is no God, so I hope someone takes the initiative upon themselves. Glad you enjoyed the piece. I’m sorry you think I should die based on an opinion piece published on CNN, though I’m always happy to meet a fellow supporter of the death penalty. Have a good one. Nice opinion piece on cnn.com today. Much to consider for all. Thank you very much Dwight. I appreciate it. Outstanding article on CNN today. Even for those who won’t agree with your assertions, there’s no denying the reality that a party so quick to cry racist for so long has unwittingly made weak its voice. Thanks for taking the time and exercising the courage to share your voice. HI, Brett. I’m still alive and kicking. Somehow I don’t have your email anymore, so can you email me back? Hi, Brett. Like you I am a lawyer who enjoys writing and reading horror fiction in his spare time. I haven’t had quite your level of success in either my day job (I’m a staff attorney with a federal appeals court) or my avocation (I am an affiliate member of the Horror Writers’ Association, with short-story publications in the “small press,” nonfiction legal history articles in the local bar journal, and one published book on my state’s legal history). But it’s really great to see somebody like you who enjoys weird fiction who has also achieved great professional success. I’ve read most of Lovecraft and my latest fascination, BTW, is with Robert Aickman. I have checked out your work on Amazon and look forward to reading it if I get the time. My job forbids me from taking any position on the political controversies others have commented on (and I wouldn’t want to, anyway) but I do wish you the best of success with your most excellent horror writing. Hi Helen. First off, thank you for reading the books. I hope you will take the time to leave reviews on Audible and Amazon. There will be a third book, though I haven’t finished it yet. I’ve been distracted. I also have some other works, including a collection of short stories in the same vein, if you are interested. I have a feeling that your book „The Void“ satisfies my want for a deep space eventyr charged with celestial dread. Are there any plans to release it as an audiobook? Hi Kristjan. Thanks for your interest. I wish I could tell you yes, but unfortunately I don’t see that in the cards. If something changes, I’ll let you know. As I sit here on a mountian a little north east of Birmingham Alabama. I sit with a cold sweat and pounding heart for I have just completed both books in 3 days. As a fan of Lovecraftian horror I absolutely loved both books. And put them up there with Titus Crow, 14, The Croning and a few others. Thank you for writing these magnificent books. Long live the Westons. P.S. It looks like in need to give House of leaves another shot. I’ll make sure you are the first to receive a copy of book three. Thank you for the kind words.